The Orange County water authority maintains two recreational areas where it manages water supplies for our area’s drinking and sewage water. One is the Cane Creek Reservoir, where people can boat, fish, bird and relax. When my morning began yesterday with a distressing family situation, for which I would need to wait for news, I decided to visit the reservoir since getting out into nature always helps me handle stress. 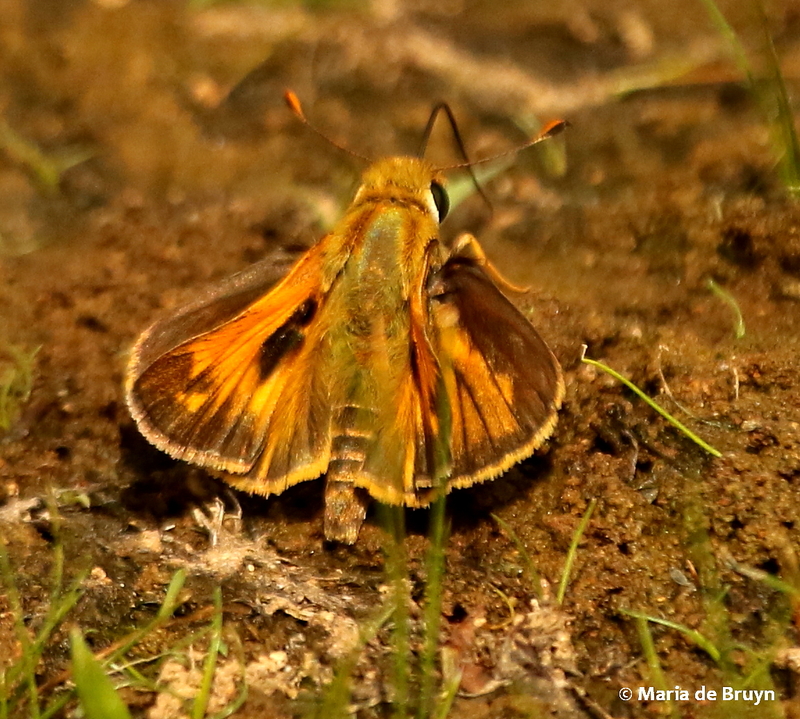 My foray was rewarding, both in terms of handling the emotional tension and appreciating the marvelous diversity that nature offers for our appreciation. 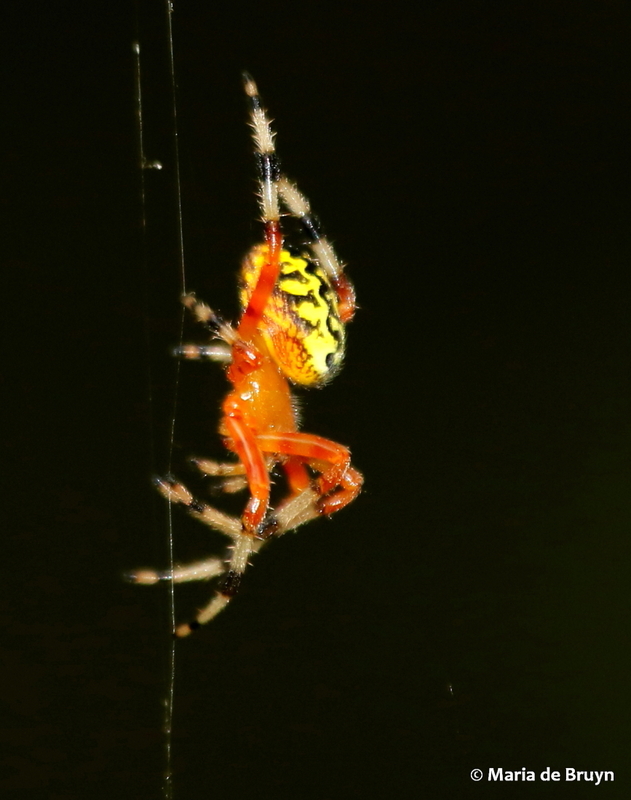 My walk began with a need to wipe spider webs from my face as our arachnid brethren were busy spinning their webs across walking paths. 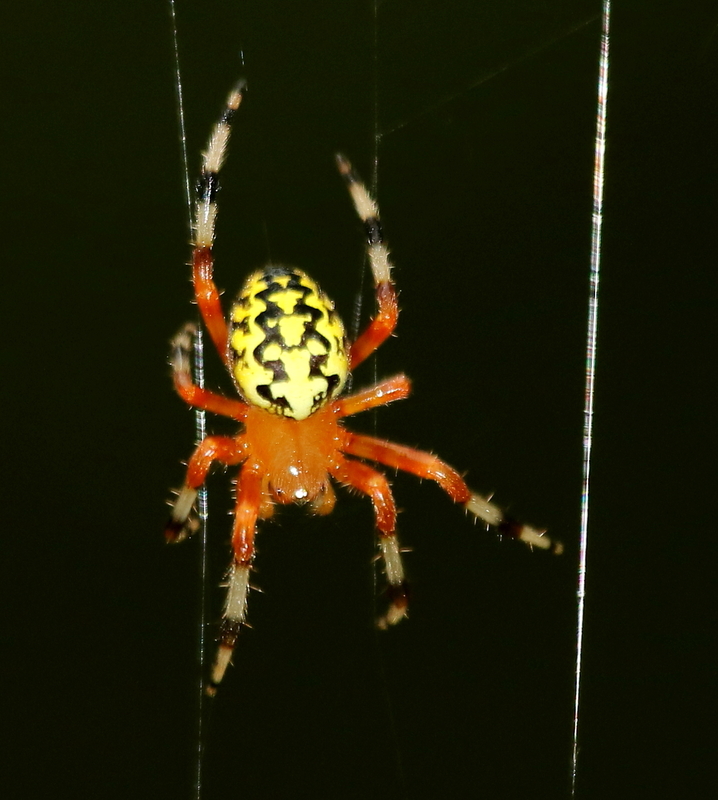 The marbled orbweaver (Araneus marmoreus) was in the process of building a web, climbing up and down and leaving new silken strands behind as they emerged from the spinneret. 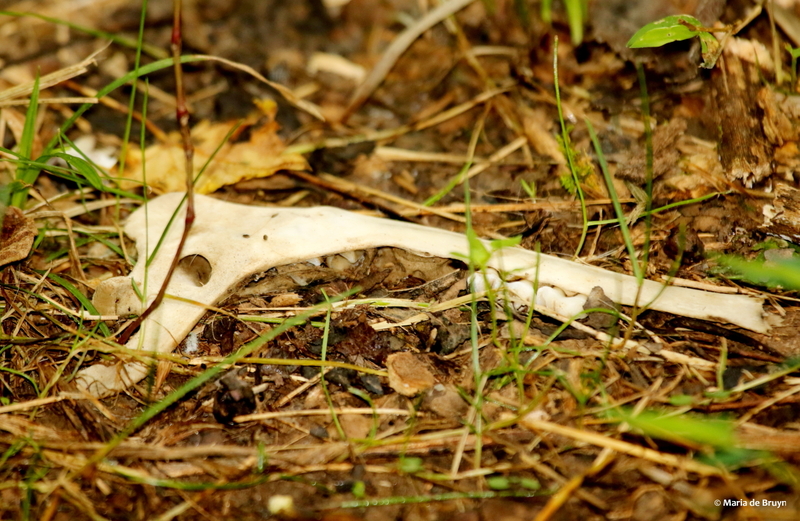 The walking path also held evidence of the passing of a young white-tailed fawn (Odocoileus virginianus). 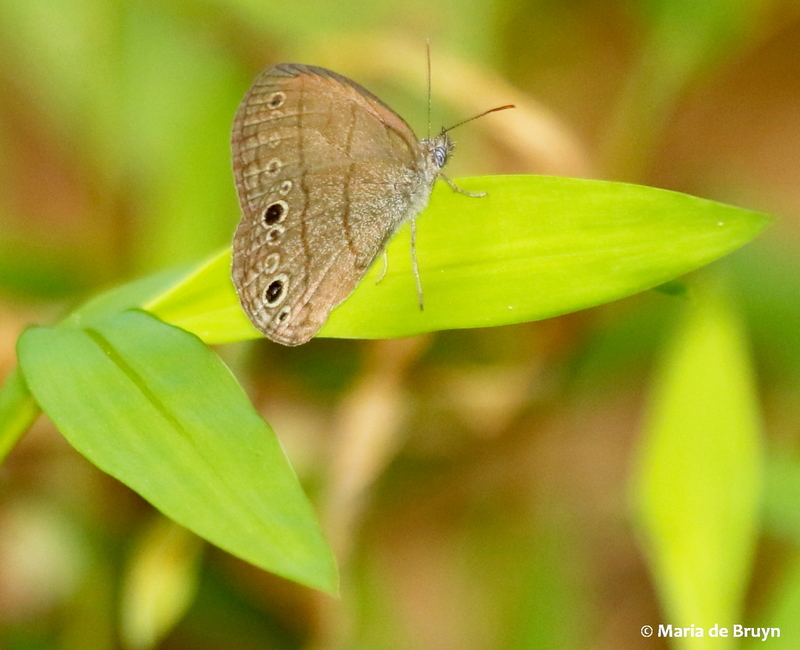 A Carolina satyr butterfly (Hermeuptychia sosybius) was moving from grass blade to grass stem as I proceeded up a hill. 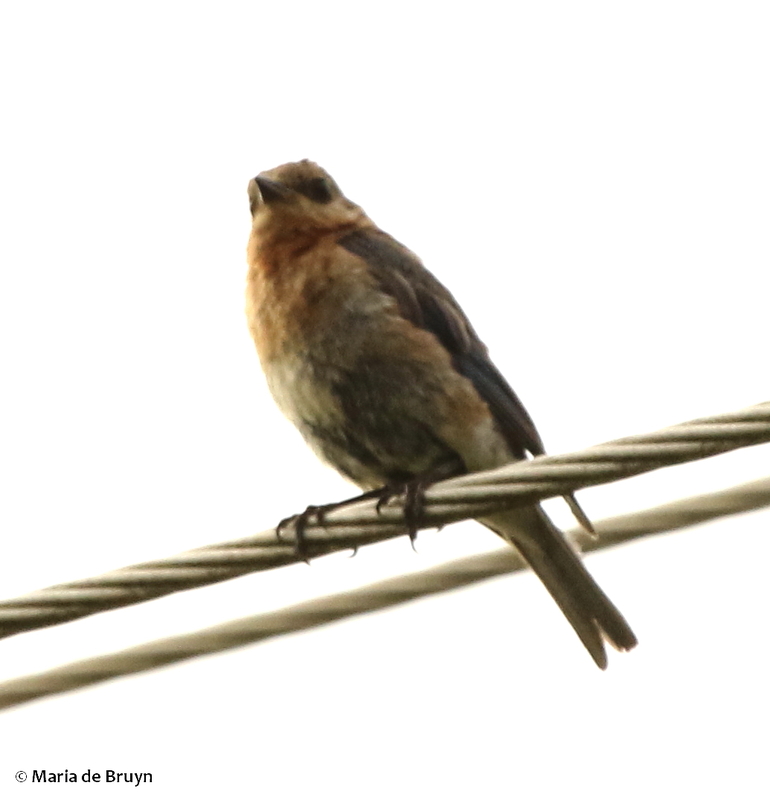 First birds of the day as I left the woods — a pair of Eastern bluebirds (Sialia sialis) that were roosting on a wire. 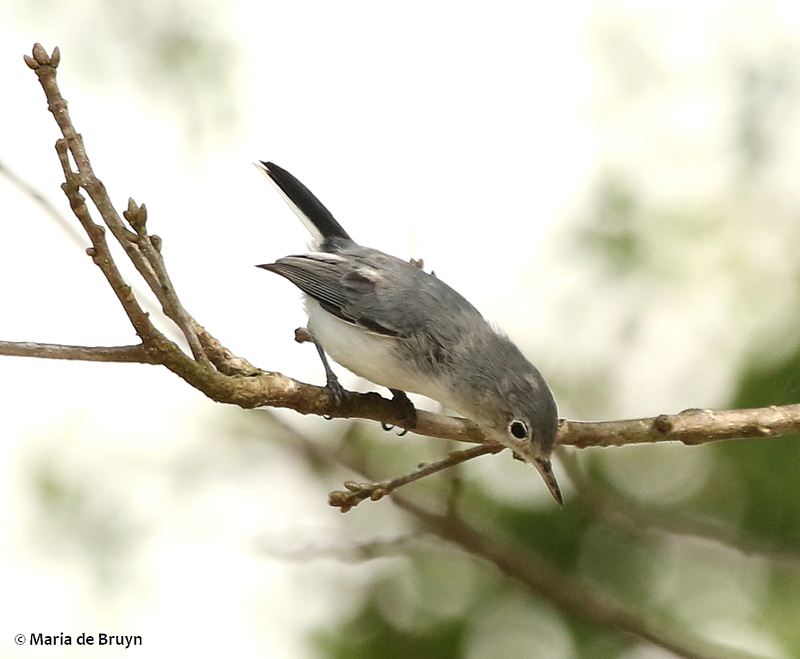 When a pine warbler (Setophaga pinus) wanted to join them, he was given to understand that his proximity was not appreciated. 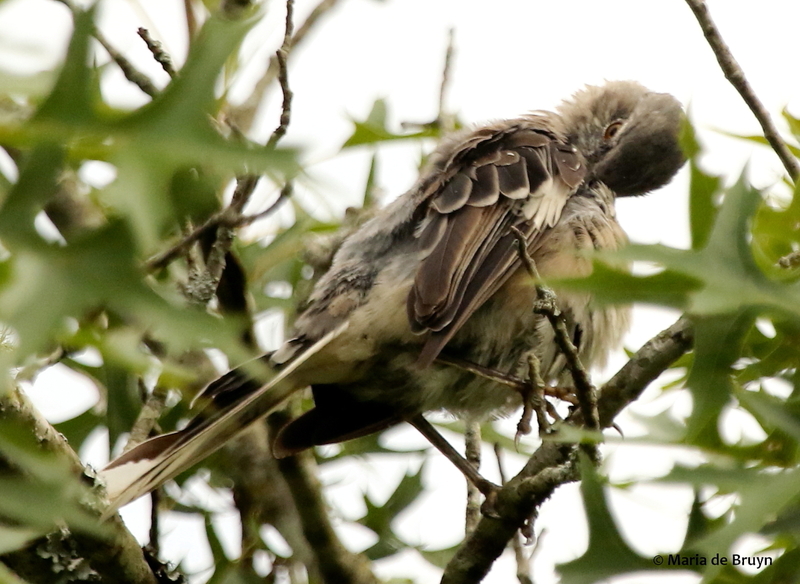 Next, I caught sight of a Northern mockingbird (Mimus polyglottos polyglottos), very busy grooming near the top of a small tree. 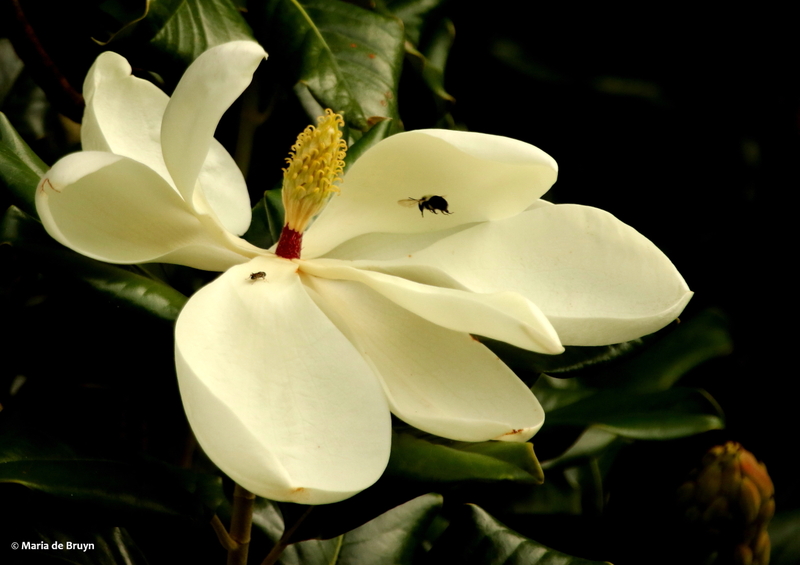 A nearby Southern magnolia (Magnolia grandiflora) was mostly laden with rose-colored fruit but one large bloom was still vibrant and visited by smaller and larger bees. 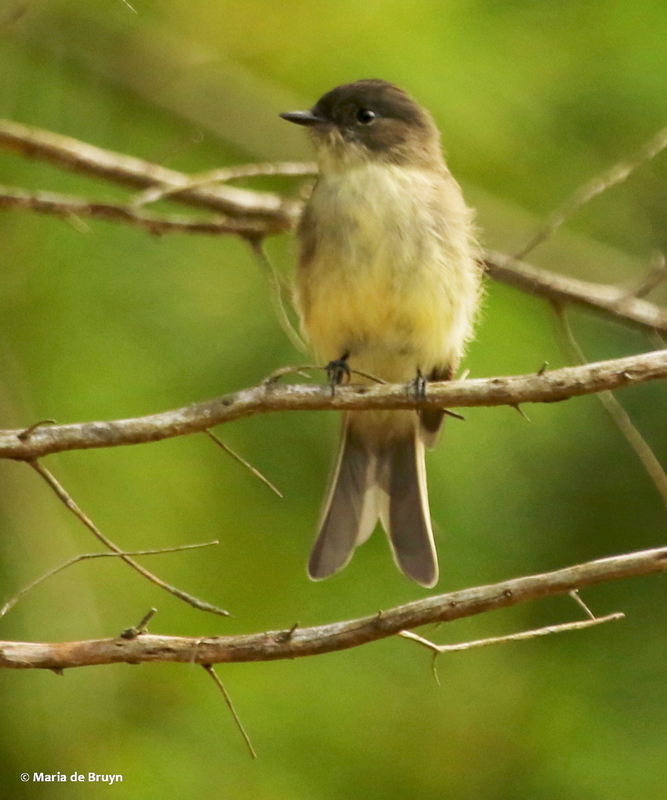 A number of birds were singing but I didn’t recognize their calls and I saw some birds flit from one tree to another but then I caught sight of one that was dipping into the grass to pick up insects and then sitting still on a branch for a while. 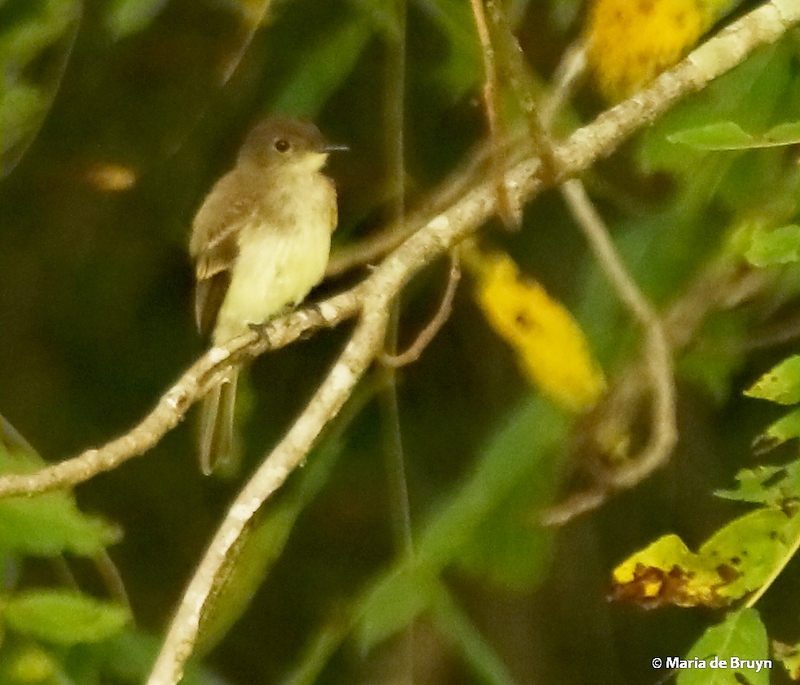 It was a lovely Eastern phoebe (Sayornis phoebe), a type of flycatcher with a yellow hue. 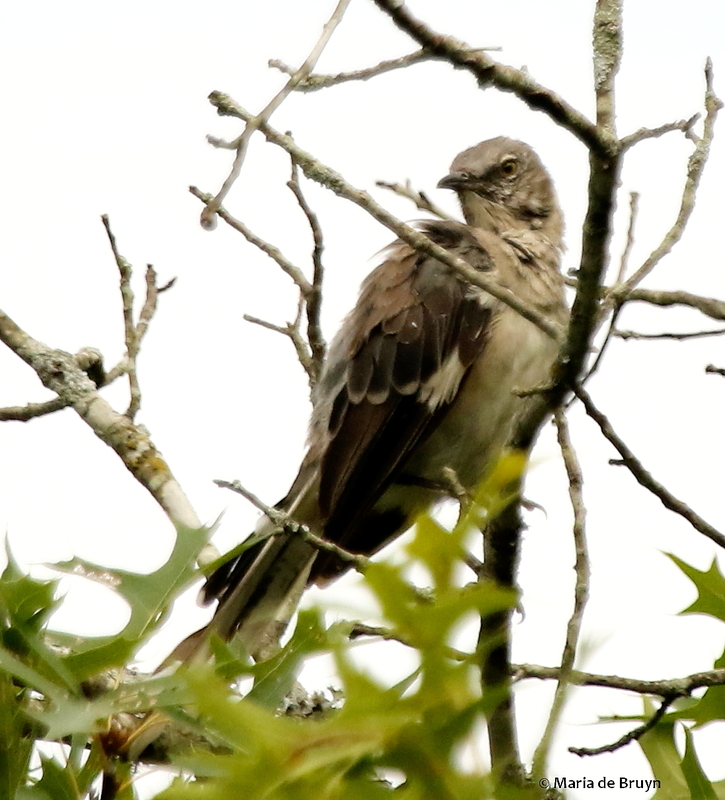 This bird flew around a bit, perching in trees, on ropes and barbed wire, providing some nice views of its lovely self. 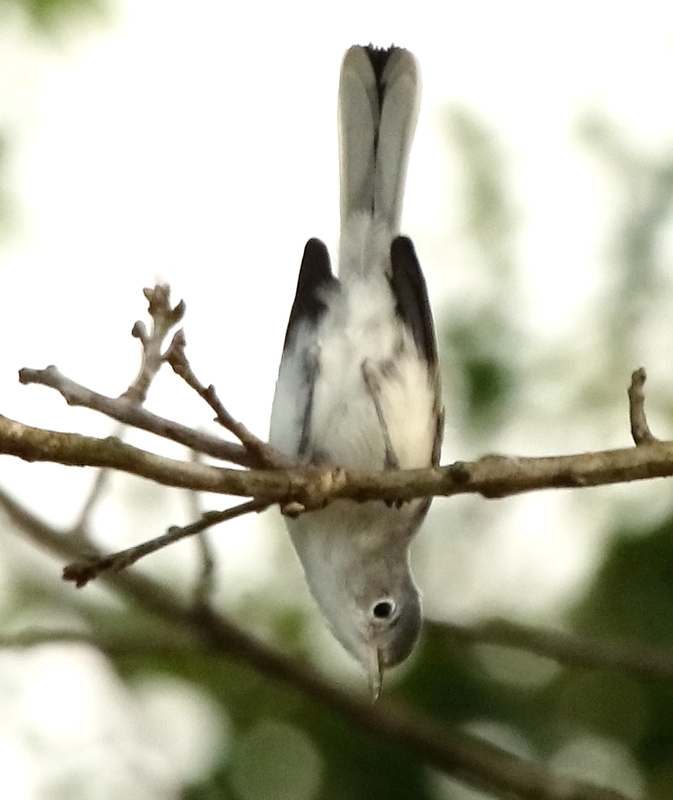 A blue-gray gnatcatcher (Polioptila caerulea), busy as these small birds always seem to be, was gleaning insects from twigs and branches. Coming up on the shoreline of the reservoir, I first spotted some least sandpipers (Calidris minutilla) foraging at the water’s edge. 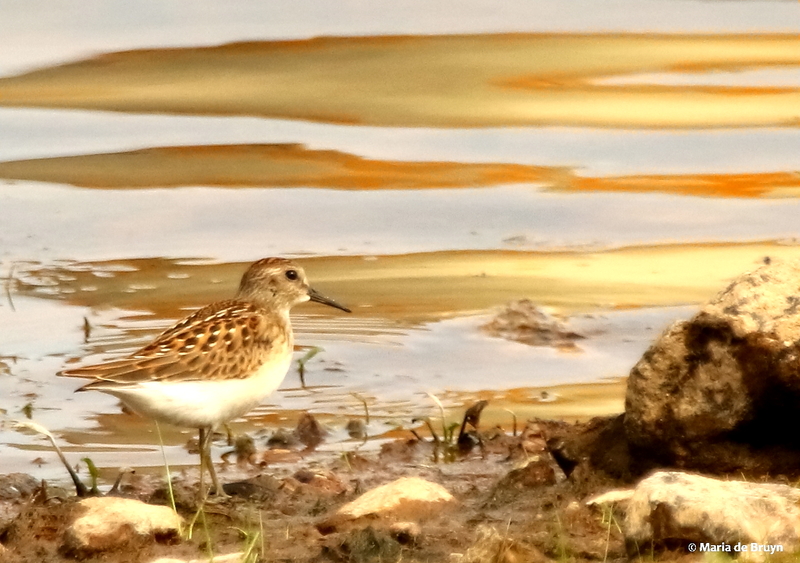 This is the smallest species of sandpiper and they are also the smallest shorebirds in North America. 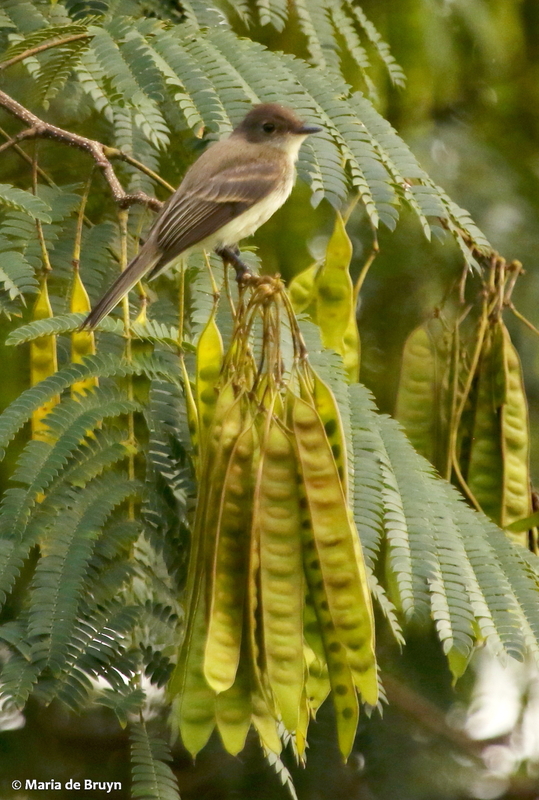 They looked very pretty in flight. The sandpipers landed near some killdeer (Charadrius vociferous), who looked very large next to them. 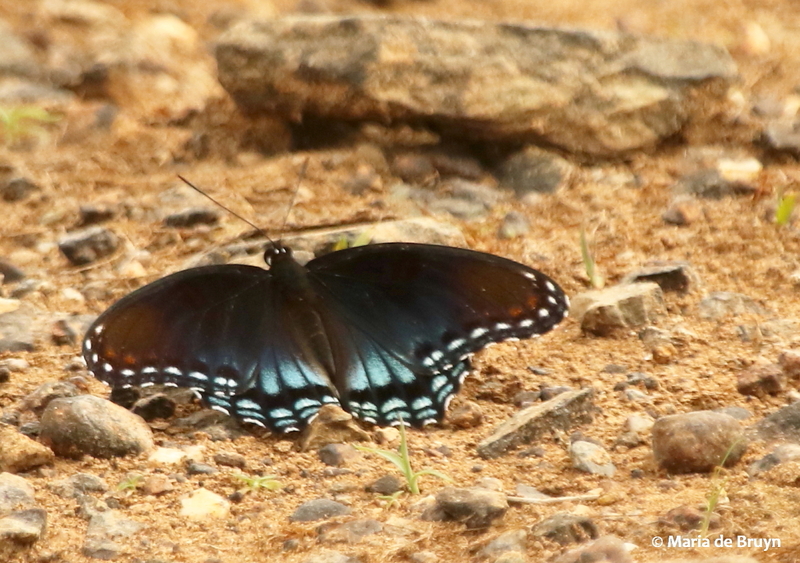 A red-spotted purple butterfly (Limenitis arthemis astyanax) was mud-puddling on the shore, as was a Sachem skipper butterfly (Atalopedes campestris). 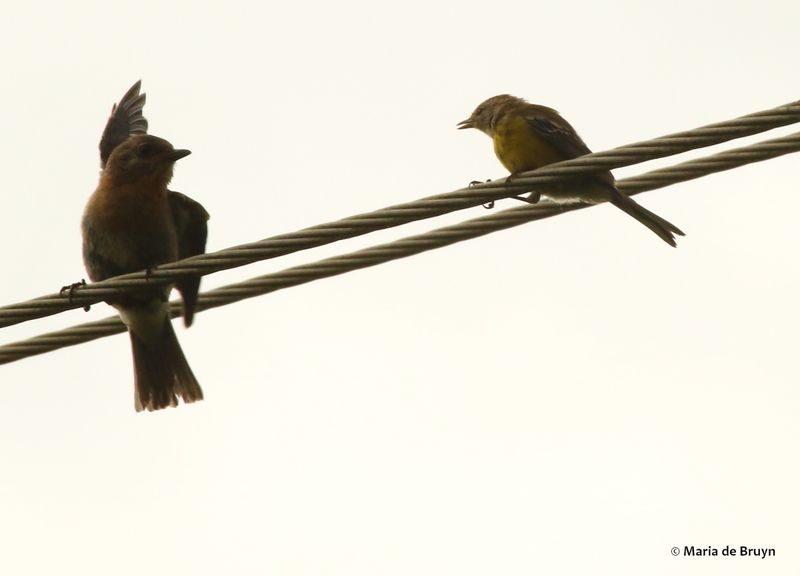 A trio of American goldfinches (Spinus tristis) also dropped onto the wet mud for a brief time. 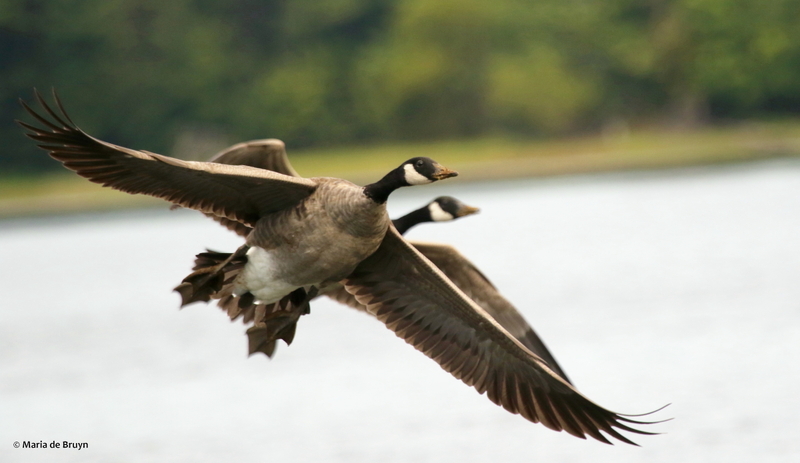 Several flocks of Canada geese (Branta canadensis) came in to the little lake. 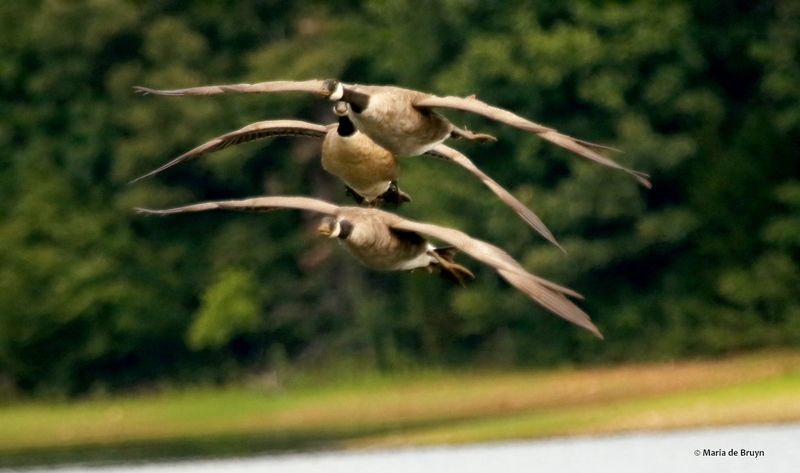 One group surprised me by suddenly veering in my direction and flying right in front of me, so close that they more than filled the screen of my zoom lens. 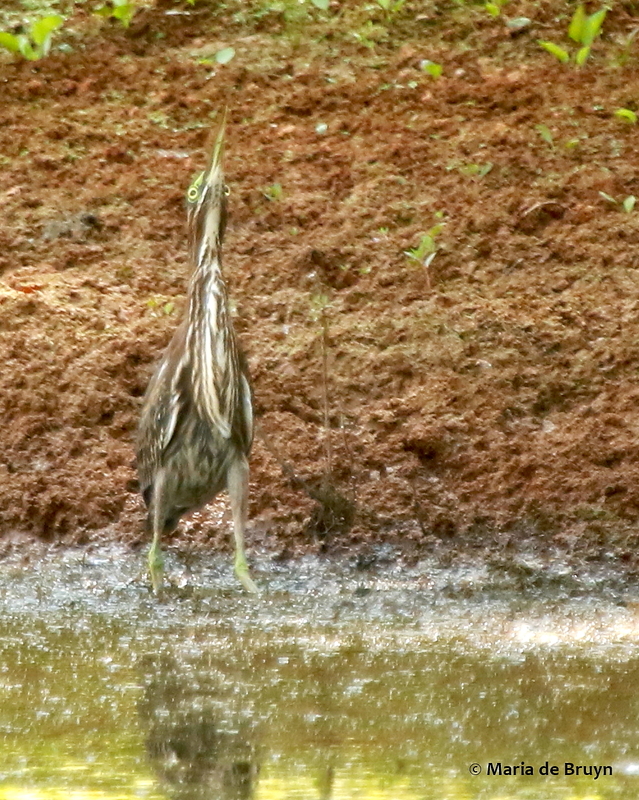 Near the end of my visit, a fellow birder kindly pointed out two green herons (Butorides virescens) to me. (Having binoculars is a definite advantage for this pursuit!). 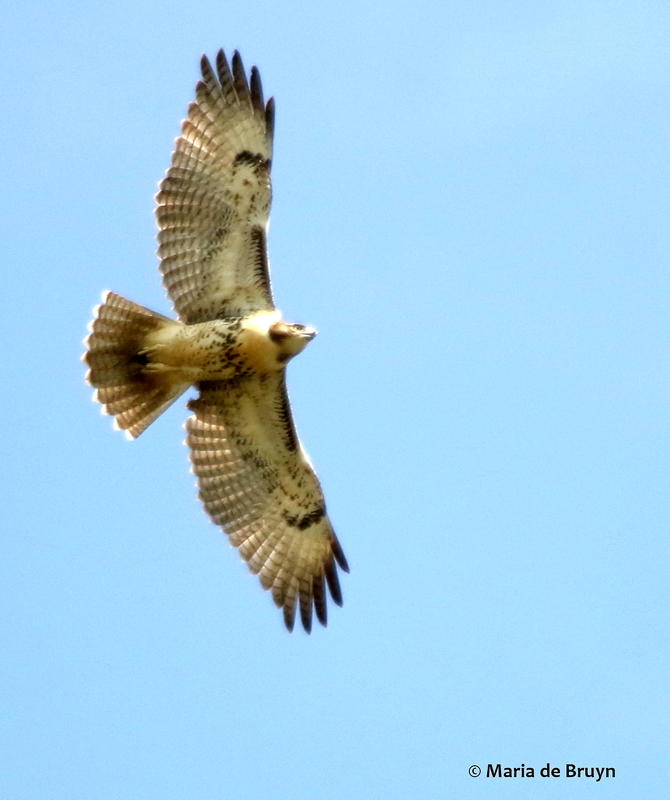 One was rather far away but another within walking distance so I snuck up on it in stages. In the left-hand photo, you can imagine the dinosaur ancestor of this stalker. 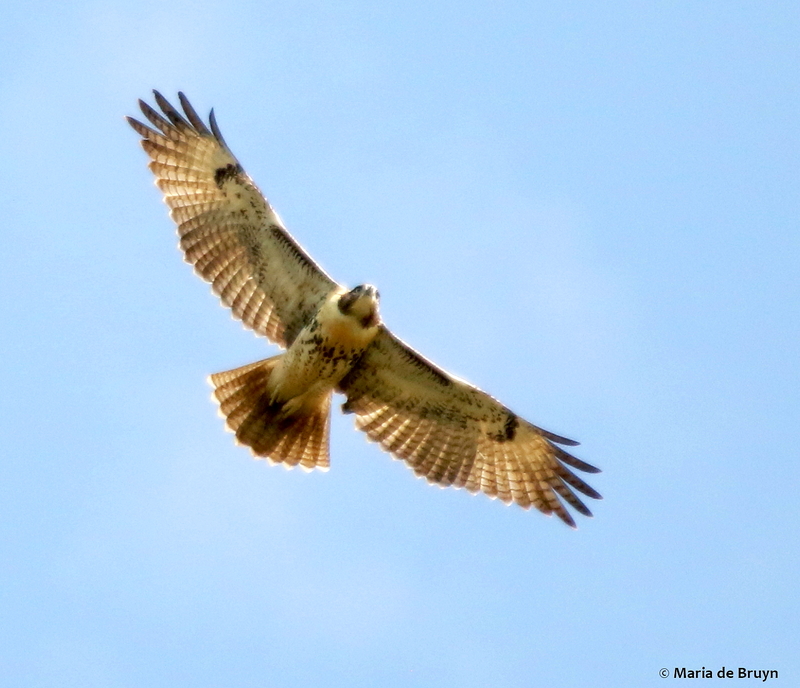 At one point, the bird stretched and stared at the sky, moving its head from side to side obviously watching something – it turned out to be a juvenile red-tailed hawk (Buteo jamaicensis). 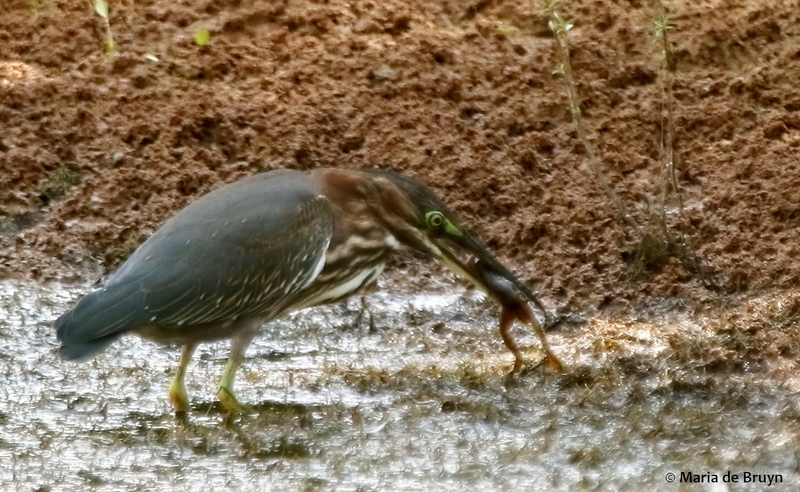 My sneaking ever closer to the heron was rewarded when I saw the short bird catch and eat a rather large frog for its brunch. It was sad for the frog, but that is the cycle of life. And when I returned home a short while later, I learned that the family emergency had been handled for the time being. 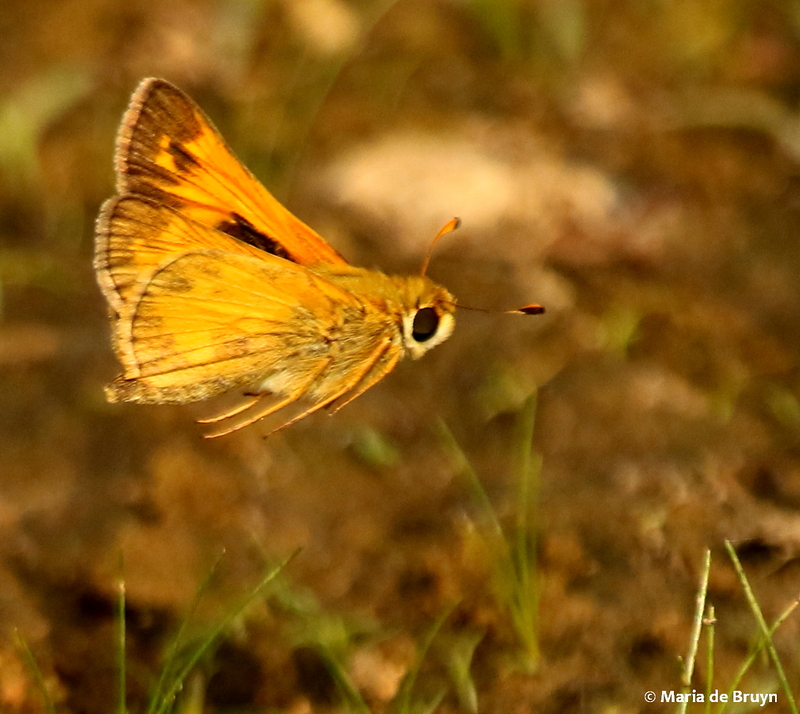 Like the fauna, our own cycles of life are also unpredictable. 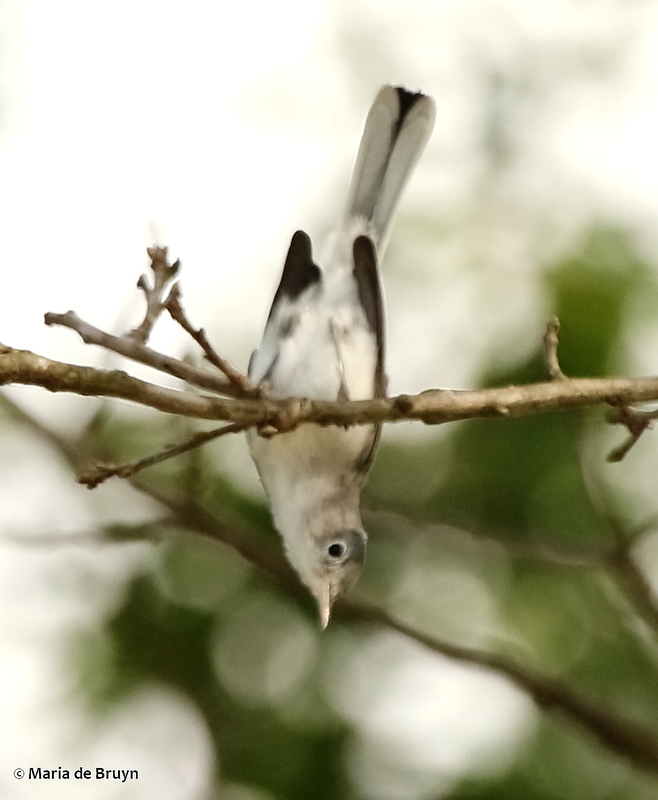 This entry was posted in Animal behavior, Biological diversity, Birds, Insects, nature, Plants, wildlife and tagged American goldfinch, arachnid, Araneus marmoreus, Atalopedes campestris, behavior, biodiversity, bird, birder, blue-gray gnatcatcher, Branta canadensis, Buteo jamaicensis, butterfly, Calidris minutilla, Canada goose, Carolina satyr butterfly, Charadrius vociferous, Eastern bluebird, Eastern phoebe, feeding, flight, Hermeuptychia sosybius, jaw bone, killdeer, least sandpiper, Limenitis arthemis Astyanax, magnolia grandiflora, marbled orbweaver, Mimus polyglottos polyglottos, nature, Northern mockingbird, Odocoileus virginianus, pine warbler, Polioptila caerulea, red-spotted purple butterfly, red-tailed hawk, reservoir, Sachem skipper butterfly, Sayornis phoebe, Setophaga pinus, Sialia sialis, Southern magnolia, spider, Spinus tristis, web, White-tailed deer, wildlife by Maria dB. Bookmark the permalink. Beautifully observed and written Maria. Very interesting Maria. Great photos as well! These are wonderful photos. You are so lucky to capture so much. That was a good day at the reservoir. I went with a group yesterday and when we arrived, everything was hidden beyond a few feet in fog. Fortunately, the fog lifted and then we were able to see some nice wildlife, including a hawk at the top of a tree being dive-bombed repeatedly by crows. 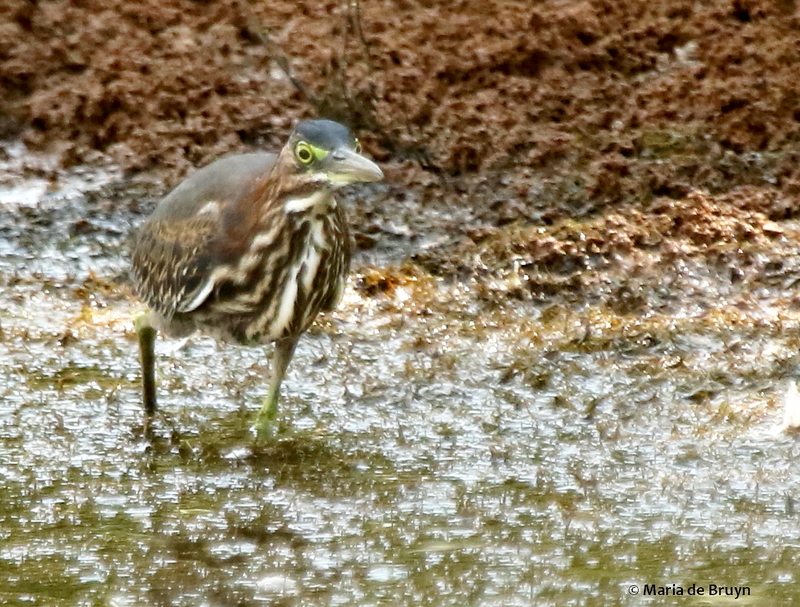 You just never know what you will see when you are out in nature! Sounds a wonderful day out.